Our primary logo version takes its cues from [our] stewardship role, centering on a single, archetypal figure that represents all of our members. While its gestural quality speaks to the creative process, its actual gestures allude to attributes of our organization — fluid and congruous lines for unity, a confident stance for strength, and upswept arm for excellence and an outstretched arm for inclusiveness and protection. The word mark that accompanies this figure, designed with the same gestural language, serves as a stable base that supports its movement. Broadcast graphics. (Poor Gill Sans, why so condensed?). I don't get it. All I see is an orchestra conductor. Not an actor, a writer, a radio personality, or anything related with TV, movies, or radio. Perhaps it's meant to be a tuxedo-clad award winner accepting his trophy? I don't know. It's a really weird choice of logo. It's also, like, a dude. Don't people get all upset about gender misrepresentation? The type is fine I guess. Then there is also an "artistic", watercolory background that gives everything a faux feel. So, yeah, I don't get this one. Thanks to The Branding Source for the tip. 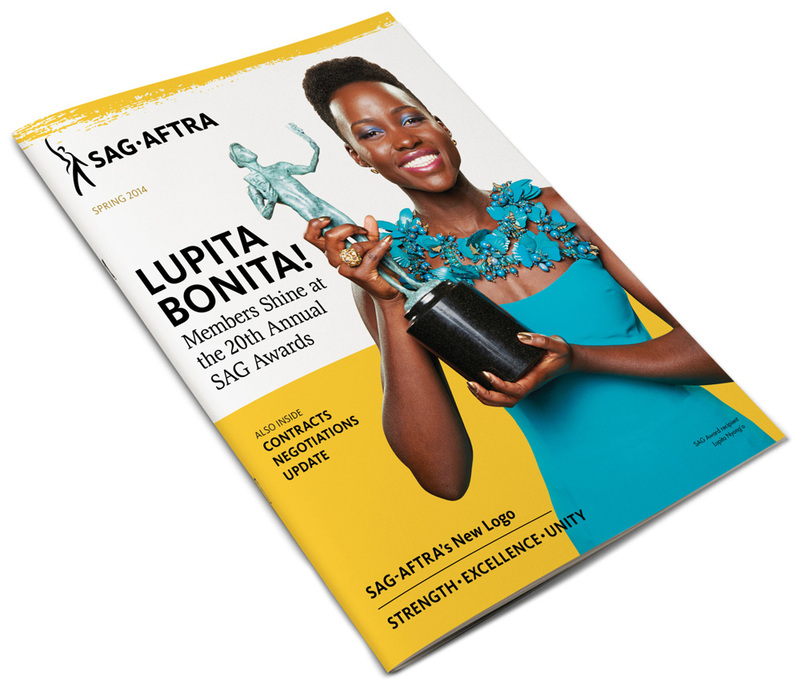 \"SAG-AFTRA was formed in 2012 by uniting two of America's great labor unions — Screen Actors Guild and the American Federation of Television and Radio Artists. SAG-AFTRA represents more than 165,000 actors, announcers, broadcast journalists, dancers, DJs, news writers, news editors, program hosts, puppeteers, recording artists, singers, stunt performers, voiceover artists and other entertainment and media professionals. 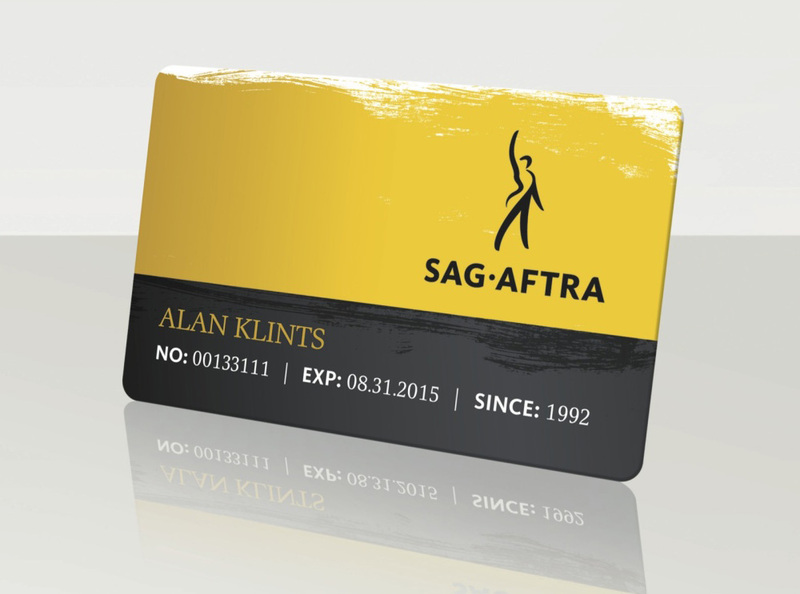 SAG-AFTRA members are the faces and voices that entertain and inform America and the world. A proud affiliate of the AFL-CIO, SAG-AFTRA has national offices in Los Angeles and New York and local offices nationwide representing members working together to secure the strongest protections for entertainment and media artists into the 21st century and beyond.\"